As opposed to discrete manufacturing, where distinct products are produced, process manufacturing creates batches of goods that need to be divided into units such as barrels or bottles. Further, the ingredients and raw materials used in the manufacturing process are transformed through chemical reactions. This means they can’t be reused, unlike the parts and components used in discrete manufacturing. As we will describe in detail below, these unique characteristics of process manufacturing make it difficult to manage. First, the fact that the production process cannot be reversed forces process manufacturers to be more careful when planning product recipes and operations. Product delivery can also present a difficult challenge for process manufacturers as their finished products have a greater potential to impact the health of both consumers and employees. 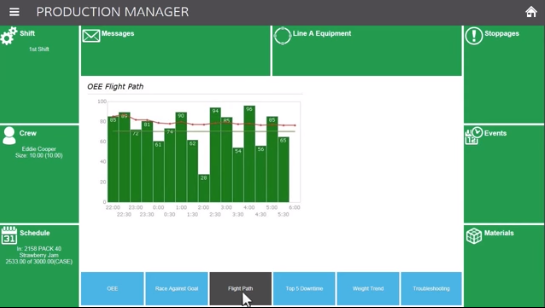 Plant managers require complex and specialized process manufacturing ERP solutions to deal with safety laws and regulations, demands from consumers wanting healthier and more environmentally-friendly products, and everyday functions such as careful operational planning of product recipes, accounting, customer management, sales, and purchasing. Quality management is critical for process manufacturers needing to comply with a plethora of laws and regulations, which can vary depending on where the products are made and sold. An ERP solution helps process manufacturing companies avoid recalls and other legal issues caused by a lack of compliance with safety or industry standards. Poor product quality can also lead to health hazards like bacterial contamination or environmental issues such as pollution caused by dangerous chemicals. Besides the impact on the revenue of the company and the fines that may be incurred, these issues also impact the brand of the manufacturer. It usually takes years and a lot of effort for companies to regain the trust of consumers, which is why manufacturers prefer to prevent these problems from happening in the first place. Supply chain optimization is important for process manufacturers for multiple reasons. First, in order to provide good products at reasonable prices, process manufacturers need to purchase ingredients and raw materials from reliable suppliers. They also need to create long-term relationships with these suppliers. ERP solutions help process manufacturers track performance, costs, transaction history and other capabilities needed for effective and efficient supplier management. In addition, process manufacturers have specific transportation needs, which can vary from one industry to another. For instance, a food manufacturer may require refrigerated trucks for delivery, while a chemicals manufacturer will need tankers. Not to mention, most countries and states have different rules regarding chemical goods transportation. ERP process manufacturing solutions help organize all of this information so you can fully optimize your supply chain processes. Recipes and formulas in process manufacturing are not only complex, but they also don’t leave much room for error. A minor change in quantity for one ingredient can lead to the quality management issues mentioned above or may compromise an entire batch. While defective production batches can be adjusted to improve their quality, this process can be very complex, since manufacturers need to take into account all the possible chemical reactions generated by adding ingredients that were not part of the original recipe. Another important challenge process manufacturers face is that some ingredients can only be used in very specific conditions, related to factors such as temperature, humidity or even exposure to light. Furthermore, the same ingredient may have a completely different impact on production depending on its potency or the concentration of the substance being used. Only a process manufacturing ERP solution can help manufacturers consider all these factors when creating and adjusting recipes and formulas. The complexity of the recipes or formulas makes cost tracking a challenge for process manufacturers. Ideally, they should track the cost of every ingredient based on the quantity used and its chemical characteristics, such as potency. Furthermore, the cost of wasted raw materials and ingredients also needs to be tracked as accurately as possible. Without all these details, process manufacturers cannot estimate their total actual costs per unit or compare this with the sales price to determine profit margins. An important category of costs for process manufacturing is related to the inventory of raw materials and finished products. Not only do they often require special storage conditions like temperature-controlled environments, but these products can have multiple units of measure which makes warehousing even more complicated. For instance, a finished product like juice can be stored in barrels for one customer, bottles for another and so on. On top of multiple units of measure, manufacturers also need to track expiration dates and lot numbers. Using a process manufacturing software, you can store and aid in the management of all this information. To adapt to a local market or comply with regulations, process manufacturers may need to implement formulas and recipes specific to the markets they serve. For example, a recent trend forcing food and beverage manufacturers to adjust their recipes is increasing pressure to reduce the amount of sugar in soft drinks. Even some of the largest manufacturers like Coca-Cola are changing their products so the amount of sugar and calories is reduced (as is described in this recent “sugar reduction report”). In Japan, you’ll find green tea and strawberry flavored KitKats manufactured to appeal to this specific market. Packaging and labeling is another challenge that can vary from one market to another. For instance, the information required by law to be included on labels for food or chemicals in Europe is very different than in North America. As for packaging, process manufacturers are trying to create different versions or sizes of their products in order to appeal to various markets. All these changes require an important investment that may disrupt the operations of the manufacturers. An ERP solution can greatly help companies prepare for and implement product packaging changes. Since creating perfect recipes or formulas is almost impossible in process manufacturing, there will always be a percentage of the final output comprised of waste. Waste can also happen when manufacturers change their recipes to adapt to shifts in demand or to address shortages in ingredients or raw materials. While it’s very difficult to eliminate waste, process manufacturers can use ERP systems to calculate an estimated level of waste, track the actual waste and compare the two in order to improve efficiency in production operations. Waste can also occur due to bad planning. For instance, raw materials may expire before being used in production and must be discarded. Moreover, employees can idle for long periods of time due to unplanned changes to the production cycle and equipment downtime. Production planning is, therefore, one of the most important process manufacturing ERP modules that help manufacturers reduce waste. Process manufacturers rarely focus exclusively on one or a few products. They usually manufacture multiple products, oftentimes producing several variations of each product. Since each product has a different recipe requiring different production operations and equipment, it can be extremely complicated to transition between production cycles. In order to increase productivity and avoid the underutilization of their equipment, manufacturers need to be able to plan ahead and adjust planning when needed. It is not unusual that a process manufacturer decides to replace a planned production cycle for a product with another cycle for another finished product. Changes to production planning may also happen because the quality is compromised and manufacturers are trying to adjust it. In process manufacturing, these changes are the rule, not the exception. Therefore, companies need a flexible process manufacturing software that allows them to make adjustments quickly without compromising on quality. While product development is mostly managed using product lifecycle management (PLM) software, ERP for process manufacturers contains valuable data that can be used to create new products and improve existing ones. For example, ERP systems provide historical information about sales volumes, returns and customer satisfaction. This can help manufacturers understand which products are successful and which aren’t. ERP also manages the cost required to manufacture finished goods and their variations on time. This information allows manufacturers to deliver better products at lower costs. Historical data can also help process manufacturers identify trends in customer behavior that may impact their bottom line. In order to adapt to their market, process manufacturers need to adjust their existing offerings, release new products and sometimes decide to discontinue unprofitable products. Due to the competitive nature of their business, process manufacturers may choose to launch products that are not profitable in the short-term but have the potential to become best sellers in the long-term. This is a risk most process manufacturers have to take in order to remain competitive. But it should be a calculated risk. Consumers nowadays have higher expectations than ever, and one of these expectations is for manufacturers to be more environmentally conscious. While manufacturers cannot completely eliminate the negative effects they have on the environment, consumers still expect them to make an effort to reduce emissions and produce relatively clean products. Even when manufacturers comply with safety laws and quality standards, they also need to take into account other challenges, like the use of conflict minerals (minerals provided by countries ravaged by military conflict and sold to perpetuate the fighting). Since consumers are becoming more knowledgeable and have greater access to information than in the past, they can now boycott manufacturers who use these types of minerals. Using a process manufacturing ERP system, you can find ways to reduce your reliance on these types of resources, building a reputation as a socially conscious manufacturer. All of the reasons mentioned above help process manufacturers become more competitive in their market. Nowadays, process manufacturers need to be compliant with quality standards, capable of adapting to changing customer demand, transparent and environmentally conscious, all while keeping costs and waste low in order to be profitable. The process manufacturing ERP market is a mix between vendors that focus exclusively on this type of manufacturing and vendors that offer discrete functionality as well. Large ERP vendors with a diversified portfolio often offer separate solutions for discrete and process manufacturing. Sometimes they may offer several ERP solutions specifically for process manufacturing. Aptean’s offering for process manufacturing includes two ERP solutions: Axis ERP (specialized in metals, wires and cable manufacturers) and Ross ERP (a more generic solution). Besides ERP, Aptean also offers Factory MES for process manufacturing.  The company’s flagship solution is without a doubt Ross ERP, which includes modules for back-office administration, manufacturing operations and even PLM. Another benefit of Ross ERP is it includes business process management (BPM) functionality, which manufacturers can use to improve their workflows. Aptean’s interface is simple yet colorful for intuitive use. While the core ERP modules are robust, functionality for PLM or BPM is quite limited. This may be enough for small manufacturers, but larger companies may want to consider standalone solutions to better cover their needs for product development or business process management. Epicor offers Tropos ERP for process manufacturing, which focuses on industries such as food, beverage, pharmaceuticals, metals and chemicals. 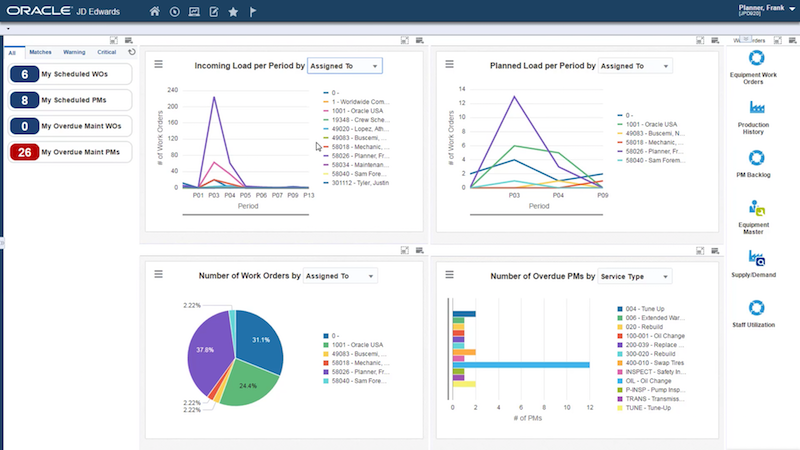 Epicor Tropos includes functionality for the back office such as accounting and customer relationship management (CRM), as well as modules for inventory, supply chain and quality management. Process manufacturers can also benefit from two other solutions offered by Epicor: Mattec MES (Manufacturing Execution System) and Informance EMI manufacturing intelligence. 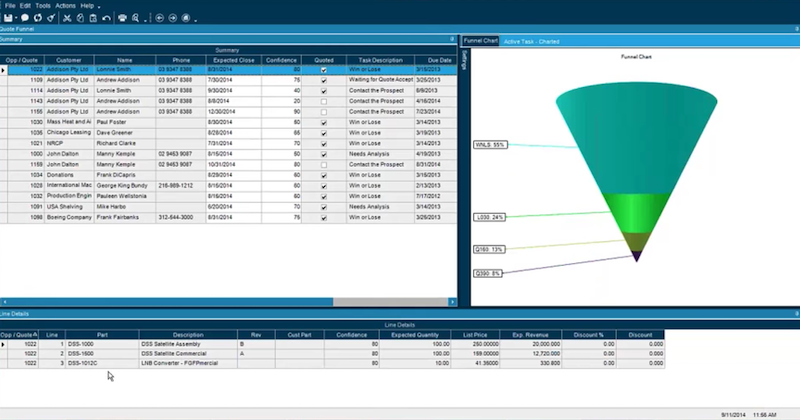 Epicor’s interface is straightforward to include large amounts of information on one screen. Small and medium-sized process manufacturers may only require Epicor Tropos ERP to run their businesses, while larger companies are more likely to need Epicor Mattec and Epicor Informance EMI. The right mix of these solutions also depends on the industry of the manufacturer, which is why buyers need to make sure to select the right option for their specific needs. Amongst Infor’s offering of multiple ERP solutions, the main products for process manufacturing are Infor CloudSuite Industrial (SyteLine) and Infor M3. Both products include functionality for both discrete and process manufacturing, as well as distribution. 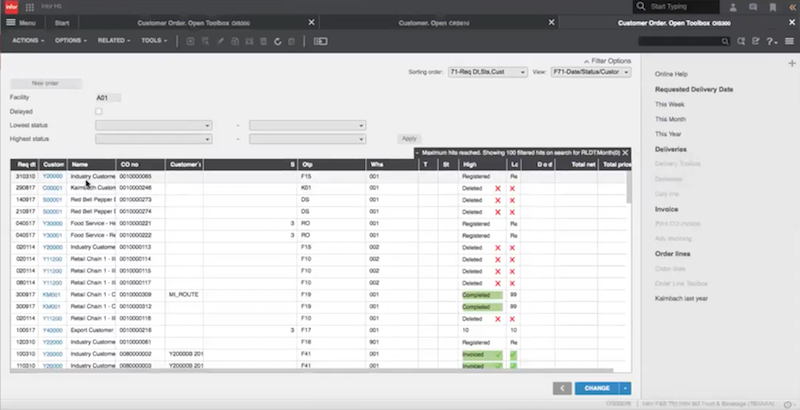 Infor CloudSuite Industrial can be delivered as an ERP solution for process manufacturing only, under the name Infor CloudSuite Process Manufacturing. Also, the Infor CloudSuite family includes industry-specific solutions such as Infor CloudSuite Food & Beverage. 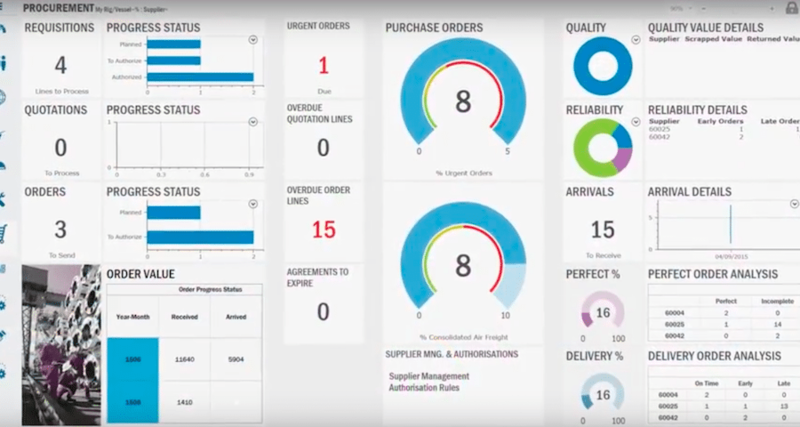 Infor’s process manufacturing tools are sleek yet offer comprehensive data. The other two solutions mentioned above focus mostly on chemicals and food and beverage. Infor is one of the few ERP vendors to include PLM in its offering for process manufacturing. Its Optiva PLM product focuses on the food and chemicals industries, making it very valuable for process manufacturers. As shown above, Infor’s offering for process manufacturing isn’t very easy to understand and buyers should be careful to evaluate potential overlaps between all three solutions. Process manufacturers not in the food or chemicals markets are less likely to find Infor’s offerings are a good fit for their business. Process manufacturing isn’t one of Microsoft’s major strengths, but we have included Microsoft here because some of its partners have created process manufacturing solutions on top of Microsoft ERP software. Microsoft partners like Sikich and Cosmo Consult have created process manufacturing modules that are sold together with Microsoft Dynamics AX or Microsoft Dynamics GP. Above is Sikich’s process manufacturing offering powered by Microsoft Dynamics NAV. Since these are the most popular Microsoft ERP solutions, companies already using them can choose to only implement the process manufacturing functionality. Even companies requiring a complete ERP solution can benefit from this option, because both the core ERP and the process manufacturing modules are built on Microsoft technology, using the Microsoft database. There are a few possible drawbacks to going with this option, however. In addition to limited regional support for their products, the additional functionality may not always be tested and verified by Microsoft. Also, Microsoft doesn’t control how these custom features will be impacted by future versions of their ERP solutions. Oracle’s flagship ERP solution JD Edwards EnterpriseOne can be used by both discrete and process manufacturing companies. Oracle offers a separate edition for process manufacturing only, under the name JD Edwards EnterpriseOne Solution for Process Manufacturers. Some of the industries covered by the solution are chemicals, food and beverage, and pharmaceuticals. Oracle also offers PLM for process manufacturing, but the solution focuses mainly on the pharmaceutical and biotechnology industries. 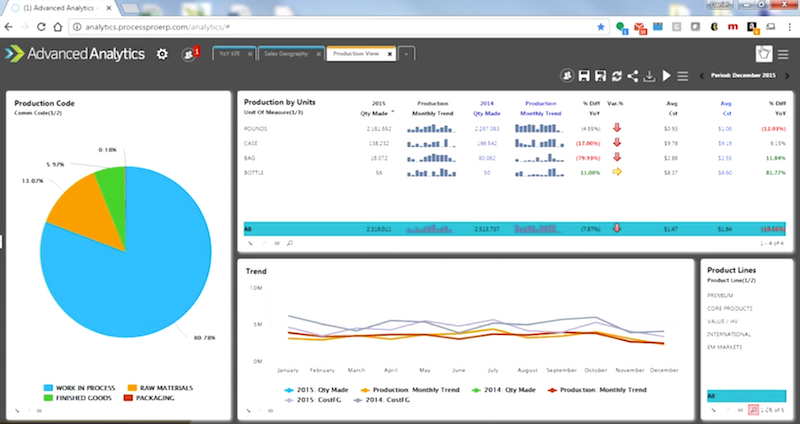 Oracle’s ERP has a great UI which allows users to quickly gain insight from reports. While Oracle’s portfolio includes pretty much all business software types, such as ERP, PLM, HCM and CRM, a mix of several of these solutions can be expensive and difficult to maintain. Large process manufacturers more likely to benefit from such a package should be aware of the initial and ongoing costs that may be incurred. For smaller companies, Oracle is working on a cloud ERP offering, but it does not yet include functionality for process manufacturing. ProcessPro ERP is one of the solutions specifically designed for process manufacturing. Its industry focus includes food and beverage, chemicals, nutraceuticals, and cosmetics. While it’s built on Microsoft technology, ProcessPro ERP is its own solution, not additional functionality on top of Microsoft ERP solutions. Since smaller vendors do not have the budget to develop all the features required by their customers, they tend to seek partnerships to fill this gap. ProcessPro has certified partnerships with multiple vendors, offering various solutions such as quality management, environmental health and safety, CRM, HR, document management and payment processing. These partnerships can be beneficial for process manufacturers, but they can also be a challenge when companies already use other CRM or HR solutions they don’t intend to replace. Additionally, ProcessPro doesn’t have a certified partnership with any PLM vendor, which may be a concern for large process manufacturers. Ramco’s ERP suite provides editions for multiple process manufacturing industries, such as dairy, cement, chemicals, and food and beverage. Besides features for process manufacturing, Ramco ERP on Cloud includes modules for HCM, finance, supply chain and asset management. Ramco ERP on Cloud can be a good alternative to solutions provided by large vendors like Oracle or Infor — and is usually less expensive. Another benefit of Ramco ERP on Cloud is the Ramco VirtualWorks platform, which allows customers to scale up or down based on their specific needs. Ramco ERP’s interface for entering work orders is also straightforward and easy to use. 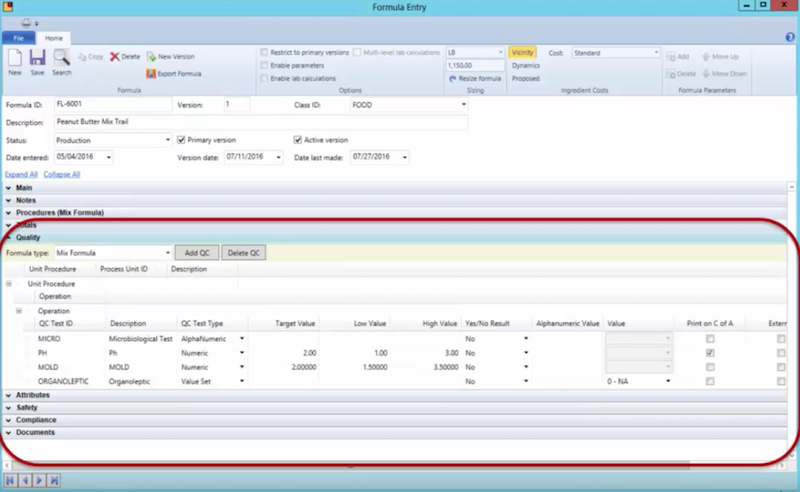 Instead of a full MES solution, Ramco offers OPTIMA, an add-on for process control management. This, and the lack of robust PLM functionality or partnerships, can be an issue for large process manufacturers. Small and medium-sized businesses (SMBs) may benefit from the VirtualWorks platform, but they need to clearly understand how scaling up or down impacts their operations, along with the overall cost of the solution. IFS Manufacturing ERP is an excellent option, providing functionality specifically designed to help process manufacturers succeed. From a wealth of experience working with companies in the food and beverage, chemicals, and life sciences industries, IFS understands the need to consider both cost and product safety as two top priorities. IFS packs a lot of information into one screen but the excellent visuals make it all easy to comprehend. IFS supplies multiple units of measurement, demand forecasts, full traceability and compliance tools to adhere to various regulations. Additionally, IFS provides functionality for multiple businesses and multiple languages so you can take your supply chain to a global level. When evaluating process manufacturing ERP, buyers are facing a few major challenges specific to this type of software. Some vendors have adapted their discrete ERP solutions for process manufacturing, which can make their offerings too generic for some industries. On the other hand, some vendors specializing exclusively in process manufacturing may not always have the most robust back-office functionality. Process manufacturers may need to make compromises, a common option being the adoption of a two-tier ERP strategy. This involves manufacturers adopting two ERP solutions, one offering the best features for process manufacturing and the other one being used for accounting and back office. While this is not ideal, it may be the best option, especially when both ERP solutions are delivered on the cloud, which makes integration and maintenance much easier. Large process manufacturers also need to evaluate the integration between ERP and other solutions critical for their business, like PLM or MES. Even though some vendors provide their own PLM solutions for process manufacturing, such as Oracle, the functionality offered by these solutions may not be enough for some manufacturers. In this case, a tight integration between ERP and the most robust PLM solutions in the market, like PTC or Siemens PLM, may be the best alternative. Most ERP solutions are built to help companies across the entire supply chain. However, process manufacturers might benefit from choosing a solution built to deal with specific issues in their industry. A specialized ERP can help process manufacturers gain greater visibility of processes, reduce waste, increase efficiency and more. Use our manufacturing ERP comparison matrix to evaluate top systems side-by-side for a comprehensive view of the features and functionality they offer. There are a number of solutions capable of supporting these objectives in a number of different industries. While a wide variety of options is ultimately good, this can make choosing a system or combination of systems complex. But if buyers take the time to compare systems and deeply understand the features they offer, the process can be made much simpler. What process manufacturing software do you use? Let us know which ones and why in the comments below! Amazing blog! From improved quality to increased ROI, process automation empowers the digitized workforce to achieve more; dispelling the general misconception that automation will substitute traditional workers.